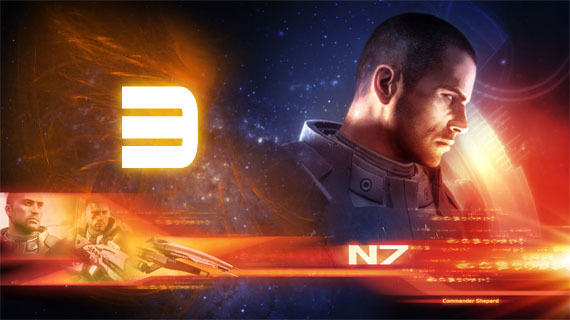 Home > News	> Mass Effect 3 Multiplayer! This really should just be a continuation of this news post. I think most people were already under the impression that Mass Effect 3 WAS going to have multiplayer long before Bioware confirmed it. Anyway, now Bioware HAVE confirmed it and so I feel obliged to make an extra news post about it. There will be a whole set co-op missions set outwith the Mass Effect campaign proper. Which makes sense because I really can’t see co-op talking and decision making working in any game ever. You (and up to three other people) will take on the roles of an elite special forces team. You will be able to choose from a variety of classes and races (I assume nothing we haven’t really seen before) and then you will go out and fight to “liberate key territories from enemy control” (as quoted from Joystiq). The multiplayer apparently won’t be effected by your saves from Mass Effect 1 and 2 (that level of complexity would’ve been astounding) but bizarrely it apparently offers an “alternate method” to do well in the main story line, how that is going to work hasn’t been announced. Along with this announcement was mentions of some unknown system for Shepard’s “Galactic Readiness” level and that this will be affected by multiple things (probably most of them in storyline) and amongst them will be the multiplayer. This whole system is called “Galaxy at War”. Now just from that tiny amount of information I already have drawn up my own, probably wrong, conclusions about what this whole Galaxy at War might be. My bet is something along the lines of the Fable 3 thing where you have to collect 6 million gold before starting the final mission if you want everyone to survive and the more gold you have, the more people will live. If we use this analogy then it might well be that by doing the main storyline the Galactic Readiness level will increase to a certain point, but then if you want as many to survive as possible you need to do all the side quests and probably be an uber-nice guy (AND probably have made the right decisions in the previous two games!). And the multiplayer will affect this.